The lawyer representing Vice President Mike Pence in the Russia probe met with special counsel Robert Mueller this summer. Pence sent his attorney, Richard Cullen, to meet with Mueller to explain that Pence is willing to cooperate with the investigation, Politico reports. 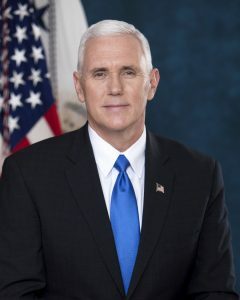 So far, it doesn’t appear Pence is a target of the investigation, which has largely focused on former campaign chairman Paul Manafort, former national security adviser Michael Flynn, and the president’s son-in-law and senior White House adviser Jared Kushner. Posted: 9/29/17 at 8:43 AM under News Story.